I’d like to introduce you to “the Patch Lady.” In a way, she inspired my own patch bag. We met the lovely Yolanda at a VJ Day event several years ago. 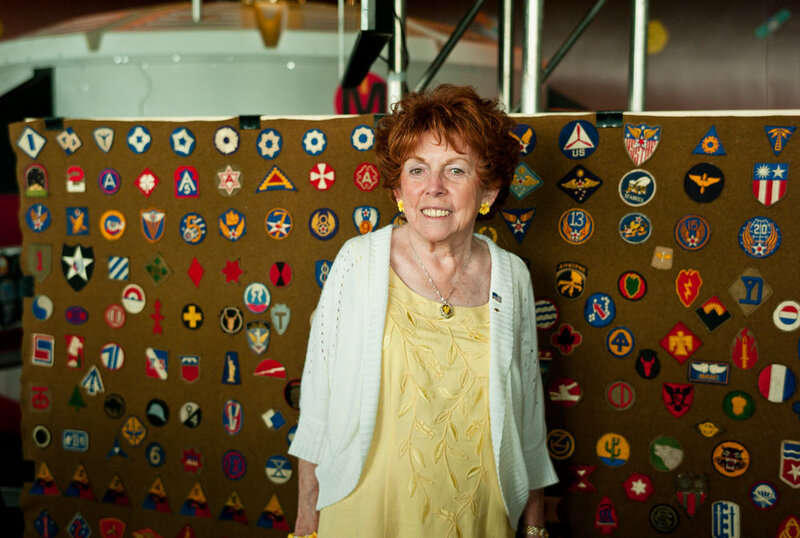 The patches you see behind her were all given to her by servicemen in World war Two. A the ripe young age of 9, Yolanda old would spend her afternoons working at the local USO Canteen with her older sister, Anne, serving young GIs before they went off to war. 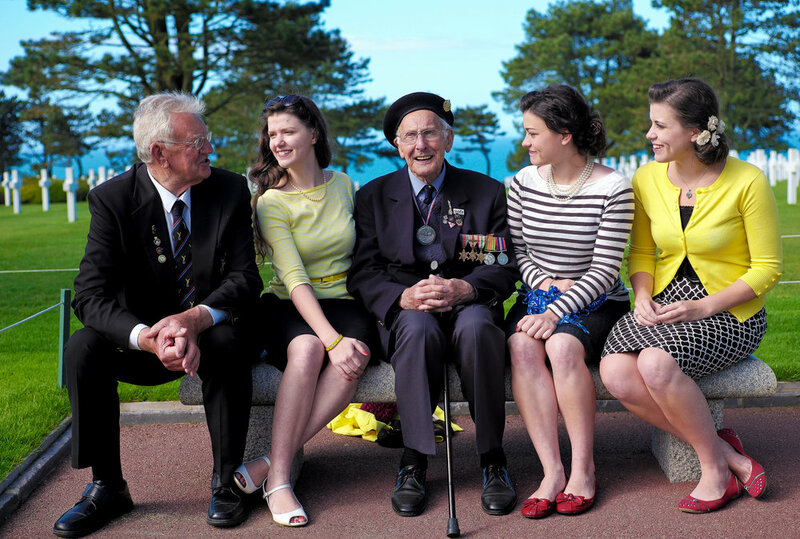 In the evenings she would invite them to her house for a home-cooked meal in exchange for one of their military patches. She became quite famous among the ranks, with even Generals Bradley and Montgomery mailing her their personal patches and a letter. Looking at the board behind her, you can't help but wonder how many of the soldiers who owned one of the patches were sent overseas? How many of them came home? And was this the last home-cooked meal they were to ever have? So many patches representing so many brave fellows. Today they are remembered. Though some of their names may have been forgotten over time, the memory of them is carried on through this wonderful lady and her patches. Thank you Yolanda!